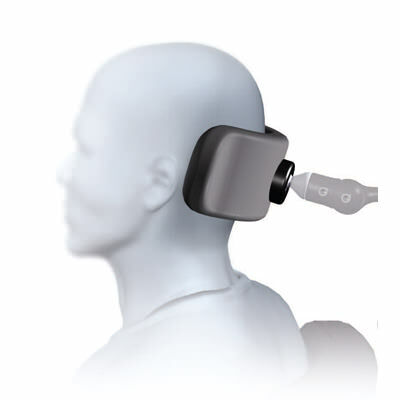 Jay Whitmyer plush linx single pad headrest system provides posterior support with a high degree of comfort and safety. 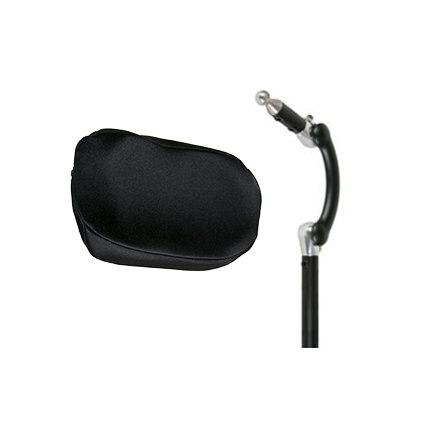 Plush headrest system is curved, single pad wheelchair headrest for posterior head support. This basic wheelchair headrest is ideal for tilt or reclines, accepts additional lateral and anterior supports, and is easily adjustable to adapt with clients as their needs change. 6" to 19" Contoured pads: Plush contoured headrests feature a unique cupping shape for excellent posterior support with a high level of comfort and client safety. 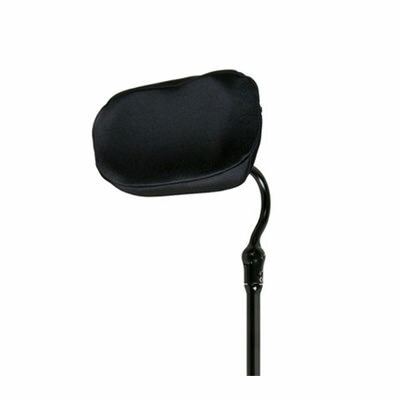 This simple, single pad headrest is easily adjustable to accommodate changes or inconsistencies in body positioning. Add lateral facial pads, switches, or anterior supports to increase versatility. For clients with active movements, pad widths up to 19" provide additional safety. Hardware options: Linx mounting hardware is available to accommodate a spectrum of client presentations and functional needs. Linx mounting hardware has sleek, curved design with moderate anterior-posterior adjustability and excellent durability. Cover options: To suit varying client needs, Plush wheelchair headrests are available with two cover options. Lycra durable, water-resistant material with 4-way stretch. Dartex Reversed anti-allergenic, waterproof material with 2-way stretch. Jay Whitmyer provides limited warranty on all components in its products to be free of defects in material and workmanship for One Year from purchase date. All metal components have an extended Lifetime warranty against breakage. All covers, cords, straps, non-metallic parts, gel, and foam have a 90-days warranty. Configured and Custom Made Wheelchairs, Seating Systems (including modified Jay products), Built-4-Me products are not eligible for return regardless of order date. The RGA number and location must appear on the outside of the package in a clearly visible manner. RGA’s are valid for 60 days and will not be accepted if the item(s) is not returned within 60 days after a RGA is issued. The product must be saleable (Unused and Not a Discontinued Item) and must be properly packaged (Preferred Original Packaging). All approved returns must be shipped at customer’s expense using their preferred carrier. Product or parts returns which are not pre-paid will not be accepted. If your return is due to a Manufacturing error and if all items on the invoice are being returned, then Manufacturer will refund any freight and/or handling fee on the original order paid. All seating components must be returned inside original sealed plastic bags. Return Authorization’s issued on orders shipped within 90 days of original ship date and returned within 60 days of receiving the Return Authorization are subject to a 25% restocking fee. Return Authorization issued on orders shipped within 180 days of original ship date and returned within 60 days of receiving the Return Authorization are subject to a 50% restocking fee. No Returns Will be accepted after 180 Days elapse. Head support system mounting brackets must be ordered separately.